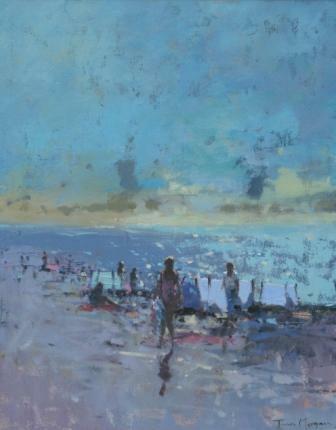 Tina Morgan is known for her impressionist paintings and her skill in capturing the light and the lazy atmosphere of people relaxing on the south Devon beaches. Her use of a soft free style and subtle palette results in art work with a timeless quality. She creates a unique luminosity in her paintings and reflects her continuing love of the British coastline and landscape.